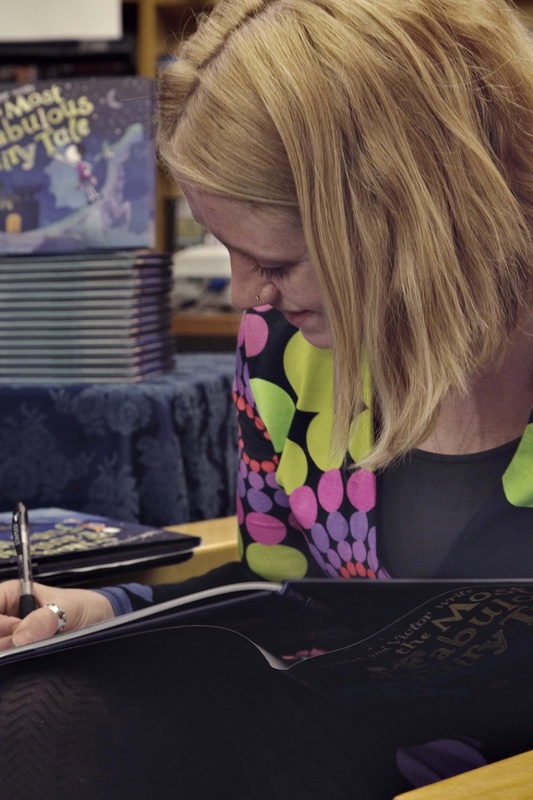 Bestselling, award winning author Alice Kuipers will look how you can focus on your writing so that you can get those ideas onto the page and beyond. For writers of all levels, Alice will look at all the stages of the writing process: from idea generation, through tips on writing discipline, and daily practice to finding time, space and joy in your work. Alice has taught creative writing all over the world and this unique online course will be a great opportunity to generate some writing, dig deep and commit to your own writing practice. "I finished Alice's online course with a smile on my face and a resolve to get back to incorporating writing into my day. Her lessons are concise, motivational, and exploratory, and they really helped me to identify where my writing journey has stalled-out and how to move myself forward. From strengthening your imagination muscle to crafting discipline to creating an environment of productivity, QuickStart Your Writing will have you stocked full of writing prompts, exploratory exercises, and more to take you to your next step." "Alice Kuipers' video course for me was a brilliant find: I can load her course chapters on my phone to read on my commute, and the course content itself is packed full of advice on time management for writers. I work long hours in my day job - so it's always a challenge to carve out time for my writing. Kuipers lessons are filled with helpful guidance, and are the clearly structured work you'd expect from a bestselling writer. Her tips are delivered in a warm and accessible style. A natural teacher and a professional presenter. Okay - back to my phone to re-listen to one of her chapters, so I'll be ready to hit the ground running with the draft of my magnus opus tonight!" "Alice is a wonderful and encouraging teacher. Fantastic class." Alice Kuipers is the bestselling, award winning author of Life on the Refrigerator Door,(HarperCollins) The Worst Thing She Ever Did (HarperCollins, praised as “gorgeous, heart-ripping, important, Voices of Young Adults), 40 Things I Want To Tell You, (HarperCollins) The Death of Us (HarperCollins), Violet and Victor write the Best-Ever Bookworm Book, Violet and Victor Write the Most Fabulous Fairy Tale (both Little, Brown Books for Young Readers), Polly Diamond (upcoming Chronicle Press), and Me and Me (upcoming HarperCollins). Born and raised in London, England, Alice now lives in Saskatoon, Canada, with her partner, the writer Yann Martel, and their four young children. Her work has been published in 30 countries. What Does Your Ideal Writing Space look Like? In a few short steps, you'll be on your way to being the writer you've always wanted to be.